Both entities have helped the Friends. Bill Miller has spearheaded the “Bags of Hope” for children who are removed from their living situation. Oftentimes, the child’s belongings are stuffed into a large trash bag, making the children feel like trash themselves. Bill organized volunteer sewists to come and make duffle bags using his donated fabric. What a difference these bags make! 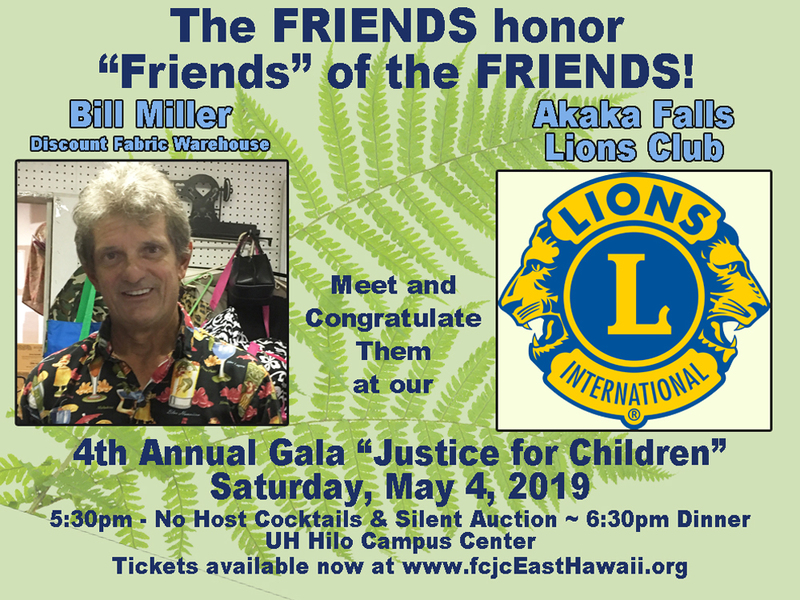 The Akaka Fall Lions Club has been a faithful friend over many years, especially helping with refurbishment of the Center’s house. Cleaning, painting, replacing… this Lions Club has done it all. Please consider joining us for an evening of celebration and fun!